Will everyone find out if I file for bankruptcy? Chapter 7 bankruptcy is the most common type of bankruptcy in America—about 60 percent of all bankruptcy filings are Chapter 7. The term liquidation is frequently associated with Chapter 7 bankruptcy because possessions worth more than what the state or federal law stipulates are sold for the benefit of your creditors. The proceeds of the sale are distributed by your court-appointed trustee and divided between creditors. After that, all eligible debts are discharged and you do not have to make any additional payments. It is important to note that each state has its own exemption guidelines. See Will I lose everything I own if I file for bankruptcy? for additional information. The process of filing for Chapter 7 bankruptcy is fairly straightforward. Since The Bankruptcy Abuse Prevention and Consumer Protection Act of 2005, all bankruptcy petitioners must take a means test to determine whether or not they are eligible to file for Chapter 7 bankruptcy. If you qualify for Chapter 7 under the rules of the means test, you are allowed to file your petition. You then attend a 341 hearing, where a trustee questions you about your property and debts under oath. Creditors can attend this hearing, though most do not. Those not eligible for Chapter 7 bankruptcy often file a petition for Chapter 13 bankruptcy. Chapter 11 bankruptcy is usually filed by businesses and individuals with large amounts of debt and is much less common than the other forms. It gives petitioners time to propose a payment plan for money owed to creditors and is more complex than Chapter 7 or Chapter 13. Though it can be expensive to file, Chapter 11 bankruptcy allows businesses to stay open while a bankruptcy court oversees the reorganization of debts and contractual obligations. Chapter 11 bankruptcy is also beneficial as it does not force petitioners to liquidate all assets. Chapter 13 bankruptcy makes up the majority of the remaining bankruptcy filings not filed under Chapter 7. Sometimes referred to as a repayment plan bankruptcy, Chapter 13 allows individuals and sole proprietors to pay off debt over the course of three to five years. It allows you to keep the majority of your property as long as you meet your monthly payments to the court-appointed trustee. The terms of a Chapter 13 bankruptcy payment plan can be adjusted if major life changes occur, such as losing your job or becoming seriously ill. Tax debts and most student loans usually cannot be discharged in any form of bankruptcy. When you decide to file for bankruptcy the totality of your financial circumstances is assessed to determine what type of bankruptcy you should file. As a guideline, Chapter 7 bankruptcy tends to be more useful for those with limited assets protected from liquidation under applicable law. Most Chapter 13 filers have substantial non-dischargeable debt (such as past taxes or student loans) or substantial asset holdings (such as business ownership.) It is of the utmost importance to disclose all possible financial information to your attorney when making this decision. Though filing for bankruptcy can be accomplished in a few days, strategic planning often goes a long way. Discussing your situation with an attorney sooner, rather than later, is always the favorable course of action. 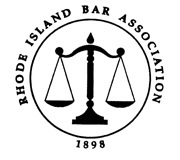 You are not legally required to have an attorney’s assistance filing bankruptcy in Rhode Island. That said, it is extremely difficult to successfully file on your own. Our clients usually understand the importance of hiring a bankruptcy attorney to prepare your petition, represent you at your court hearing, and deal with your creditors. Yes, the law requires that you attend a Section 341 Meeting of Creditors. At this hearing, conducted by the bankruptcy trustee assigned to your case, you will be asked questions about your petition, assets, and liabilities. In most cases, this court appearance is the only one required, and you will not even see the judge assigned to your case. We attend this hearing with you to protect your interests. 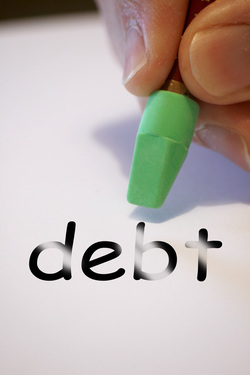 We understand the sensitivity you feel filing for bankruptcy and cater to your privacy. While a bankruptcy filing is public information, federal bankruptcy courts have taken care to prevent wide dissemination of information about individual filings. Filing for bankruptcy actually helps repair your credit rating over an extended period of time. Though there are some exceptions, many clients increase of their credit score between 125-150 points just one year after discharge. As part of our service, we provide a projected increase of your credit score and advises you on the steps to take to achieve your improved score. Please discuss your specific situation with us. Often, we are able to do pre-bankruptcy asset planning to minimize the loss of assets. You can keep your current vehicle if your payments can be made and you are financially able to continue making monthly payments in the future. Rhode Island law entitles you to retain up to $12,000 in equity in a motor vehicle. No. Federal law gives bankruptcy filers an automatic stay after filing, meaning all legal and collection proceedings must cease. Credit card companies are in violation of the law if they call you. Any future calls or correspondence must be directed to your lawyer. It depends on the type of bankruptcy petition. Chapter 13 bankruptcy can create an installment plan for the repayment of past due mortgage bills while ending foreclosure proceedings. You are still responsible for existing mortgage payments.